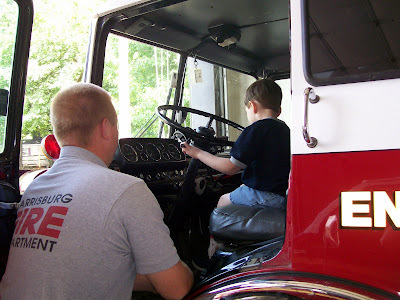 On Saturday, Jack was invited to tour the Harrisburg Fire Department station #1. 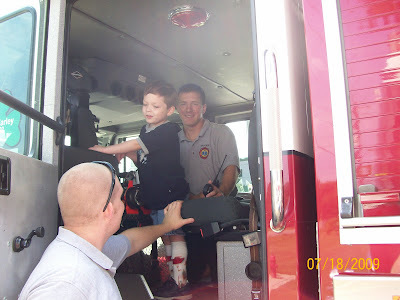 He had a great time looking at the big fire trucks, rescue vehicles and where the firefighters ate, slept and hung out. 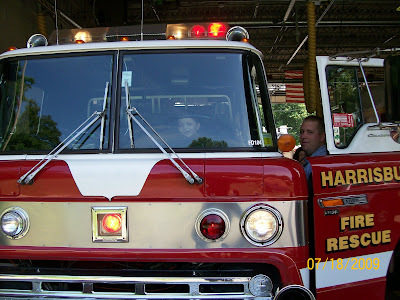 All the guys that were on duty were great and let him turn on the lights and honk the horns. 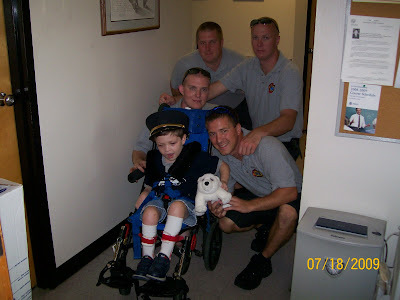 He was presented with his own fire hat, too. We've included some pictures for you below. 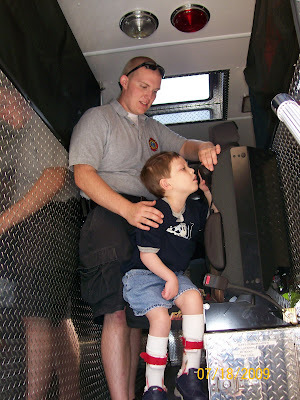 Many thanks to all the firefighters, especially the guys at HBFD #1. Are you sure he's only 6?